11:39 a.m., June 6, 2012--University of Delaware Trustee Emeritus Robert F. Rider of Rehoboth Beach died June 4 at Beebe Medical Center in Lewes, surrounded by his family. He was 83. Mr. Rider was elected to UD's Board of Trustees in 1985, replacing Elbert N. Carvel, former governor of Delaware. He chaired the Trustee Committee on Grounds and Buildings from 1989 until 2003, when he was named trustee emeritus. During his chairmanship, 34 new buildings were added to the University, and some 1,400 grounds and buildings projects with a value of $706.7 million were completed or approved. At the Dec. 11, 2003, board meeting, Howard E. Cosgrove, then board chairman, said, "Always the gentleman, Mr. Rider brought his calm demeanor, friendly nature, reasonable disposition and sound integrity to every discussion." Mr. Rider had served as chairman and chief executive officer of O.A. Newton & Son Co. of Bridgeville, Del., and as president for the company from 1969 to 1984. He had been a director since 1956. He also served as president of Newton Leasing and Finance Company from 1977 to 2006, and had served as secretary-treasurer and a trustee of the Newton Foundation. In 1984, Mr. Rider was named a trustee of the Wilmington Medical Center and a member of the Board on Professional Responsibility of the Supreme Court of Delaware. He was president of the Delaware State Fair from 1976 to 1989, a Bell Atlantic-Delaware director from 1979-1995, a PNC Bank director from 1984-1998, a Burris Foods director from 1983-2000, and a director of the Chesapeake Utilities Corporation, the Eastern Shore Natural Gas Company from 1976-2006. He also served as a director of Blue Cross Blue Shield of Delaware and the Delaware State Fair. 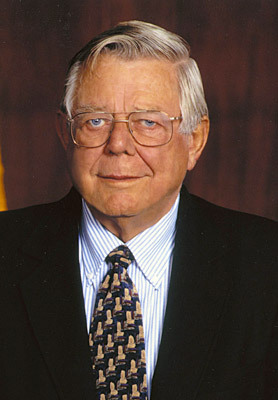 A graduate of Skidmore College, Mr. Rider served as a governor of the United States Postal Service from 1995-2005 and was chairman of the board from 2001-2003. He was formerly a member of the Agricultural Committee of the Delaware Bankers Association, the Delaware Council of Farm Organizations and a member of the Delaware Roundtable. Funeral services will be held at 11 a.m., Friday, June 8, at All Saints' Episcopal Church, 18 Olive Ave., Rehoboth Beach, Del. Friends may visit with the family at the church from 9:30-10:30 a.m. A Celebration of Life will be held at 1 p.m., Friday, June 8, at the Rehoboth Beach Country Club, 240 West Side Drive, Rehoboth Beach. Interment will be private. In lieu of flowers, the family suggests memorial contributions be made in the name of Robert F. Rider to All Saints' Episcopal Church or to the University of Delaware, 126 Hullihen Hall, Newark, DE 19716. Online condolences may be left at www.parsellfuneralhomes.com.